Moscow to St. Petersburg : Should You Choose Train or Flight? Moscow to St. Petersburg : Train or Flight? If you are visiting the beautiful country Russia, you might have charted out your itinerary well in advance and worked out all the places you want to visit. Moscow and St. Petersburg are the two biggest cities with a lot to offer in terms of sightseeing and cultural exploration. Traveling from one city to another, however, is a confusing task for tourists since there are several options to choose from such as road, water, rail or flight. We are here to help you out with the two fastest alternatives from Moscow to St. Petersburg: by train or flight. Since there are pros and cons to both the ways to travel, you can follow our article below to weigh in our opinion to choose your option. All four of the above airports are situated on the outskirts of the main city and will be quite a long cab ride away from your hotel in Moscow. There are several domestic airlines, the primary one being Aeroflot from Sky Team Alliance that will take you from Moscow to St Petersburg at very reasonable prices. 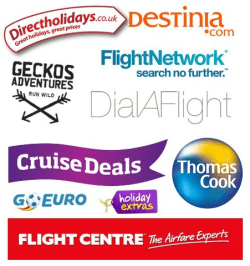 You can refer to plenty of online ticket booking websites to get discounts on your tickets. Then you have to also go from Pulkovo airport to your hotel at St. Petersburg, which will be another cab ride. You can arrange for drop and pick-up services with your hotel according to their tariff rates or just book a cab from Pulkovo airport. If a budget economy is one of your top priorities, then you should definitely consider making use of air transits. If fare pricing is an important factor to you, let us bring to your notice that flights from Moscow to St. Petersburg are cheaper than railway fares. While a flight ticket will cost you around 80 US Dollars per ticket; the train ticket can cost more than $100 per person. Also, flights are faster and time efficient than other modes of travel. All the non-stop flights from Moscow to Saint Petersburg are only an hour and a half long at the most. Railways are the most common route from Moscow to St. Petersburg taken by locals. There are many trains that are available for you such as the Nevsky express, a very popular train which will make your journey worthwhile. The seats are very comfortable and there are about 6 seats in a cabin for privacy. Also, their tickets are affordable. Krasnaya Strela is another train worth a mention because of its very private cabins that are made for 2 to 4 passengers. These trains take about 4.5 hours to 5.5 hours to reach your destination. Another train option to get to Saint Petersburg from Moscow is the high-speed train Sapsan. These trains had been started for regular services on the route in the year 2009. It takes only 3 hours and 45 minutes for the Sapsan to travel from Moscow to St. Petersburg. Sapsan trains are the most expensive trains on the route considering the regular train fare prices. Sapsan tickets of the economy class start from approximately 2300 Rubles and can be as expensive as 3500 Rubles (up to $100). As a traveler, you need to call the shots and decide for yourself which is the best mode of conveyance for you. A lot depends on the purpose of your travel. People who you are traveling with and the duration of your visit are also other things to take keep in mind while deciding. If you are traveling alone for business and professional purposes, your perspective will be very different from the people who are traveling in groups or are being accompanied by their family and friends. For example, if you are looking to take the long and slow scenic route so that you can enjoy looking at the Russian landscape and forests, trains would be a better option for you. But in case if you are on a time crunch or a hurried trip with several places to see in very less time, you should probably stick to flights. Fare prices are also a factor to bear in mind since the flights are definitely cheaper in Russia than trains. Ultimately, the choice is yours to make, and we hope we have helped you with enough information to make up your mind and take your pick!